Vezi Acum Gravity Falls S01E17 - Boyz Crazy Online Subtitrat in romana calitate HD. Gravity Falls S01E17 - Boyz Crazy este un episod lansat pe 19 aprilie 2013 super! Vezi acum online gratuit! 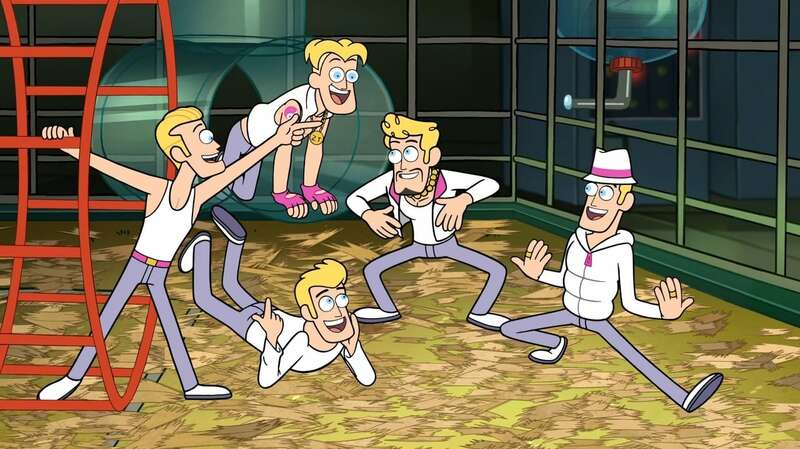 When Mabel discovers that her favorite boy band is actually a bunch of imprisoned clones, she sets them free, only to decide on keeping them for herself. Meanwhile, Dipper is convinced that Robbie plans to brainwash Wendy with a secret message hidden inside one of his songs. Distribuie sau scrie parerea ta despre episodul Gravity Falls S01E17 - Boyz Crazy.